The only casino in Cairns Queensland is the Reef Casino. Gateway to the Great Barrier Reef it casts and interesting shape in the Cairns city skyline with a glass dome as its rooftop. 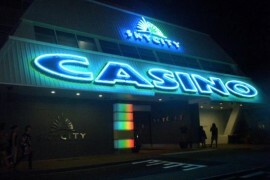 The casino complex is home to a hotel, a nightclub, a wildlife called the Rainforest Dome, and multiple restaurant and bar facilities. With many boutique shopping outlets the complex also has DFS Galleria and Princess Jewellery as well as the Reef Fleet Terminal, departure point for day trips for snorkelling, diving, glass bottom boat tours and fishing on the Cairns Great Barrier Reef. The Reef Casino Cairns is open all days per week. Monday to Thursday, it is open for public from 10:00am to 4:00am. 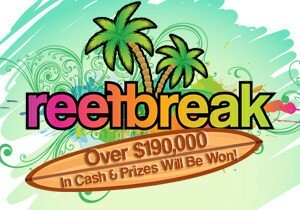 From 10:00am Friday until 4:00am Monday, the doors are open continuously. 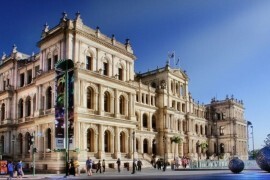 The casino is closed on Good Friday, Anzac Day, and Christmas Day. The Cairns casino dress code requires smart, clean clothing and suitable footwear. It is advised for men to wear a shirt with a collar, and wear socks with their shoes. A tie is not necessary however. Ladies generally ensure their attire is not overly revealing and is in good condition. Work wear is not permitted to be worn in the casino gaming area. 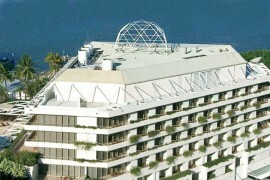 The Reef Casino is attached to the Pullman Reef Hotel Casino with 128 hotel rooms. It offers guests an outdoor rooftop swimming pool and spa area with a salon and gym. 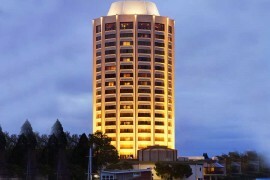 The hotel also provides a long list of services for guests, including a currency exchange office, a hotel doctor on-call twenty-four hours a day, valet service and parking, and concierge services to help guests make their way around the city and surrounding area. Velvet Underground is a modern and sophisticated nightclub and Piano Bar located off the Reef Casino foyer. It features two stylishly designed levels perfect for nightlife socialising or private parties and corporate functions. Burlesque 54 is disco-fancy inspired by the infamous New York nightclub Studio 54. Vertigo Bar is a newly renovated bar in the foyer of the casino with spectacular blue lit drinks tables, live entertainment on Thursday, Friday & Saturday nights, and a curtain of chains separating it from the main foyer area. This modern bar serves spectacular cocktails, and is extremely popular with visitors and locals, especially with the 25 – 45 age bracket. Cairns Rainforest Dome within the Cairns casino complex features a spectacular all weather wildlife exhibit encased by a 20 metre high glass dome on the rooftop of the casino. 100 species of Australian animals are able to wander and fly freely throughout the dome which replicates their natural environment. Tamarind Restaurant is the signature eatery of the Reef Casino serving a unique take on Asian food. Reservations are recommended, as its one of the most popular restaurants in all of Cairns. Cafe China Noodle Bar, built inside Cairns’ historic Customs House, is another Asian restaurant serving a line-up of noodle soups, stir-fries, and curries. Cafe China Restaurant specialises in fresh local seafood, It offers the best extensive wine list of cellared and aged vintages from the vineyards of Australia, France, Italy & New Zealand. The restaurant can cater for up to 500 people, with three elegant private function spaces. Reservations are recommended for groups or a la carte dining. 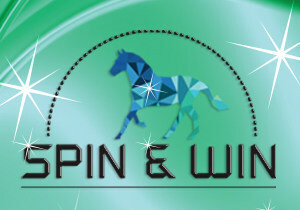 The game collection at the casino include traditional versions of blackjack, roulette, a mini-baccarat game as well as a full-scale version, craps, Sic-Bo, money wheel, and two unique games, Reef Routine and Paradise Pontoon. Casino-style poker games, like Three Card Poker and Casino War, are hosted at a small collection of tables set apart from the other traditional casino game offerings. A large portion of the table games area is set aside for the popular game Rapid Roulette, unique to Australian casinos. 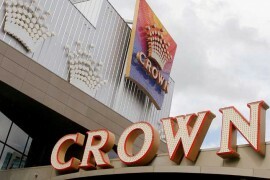 The Reef is home to more than 500 gaming machines, including pokies as well as video poker and other skill games. Coin denominations and bet sizes on the casino’s electronic titles range from AUD $0.01 up to $1, except in the VIP section where pokies and other games allowing much larger wagers are available. Linked and local progressive titles are spread throughout the gaming floor for pokies fans looking to chase a larger jackpot than usually found on poker machines. Every Thursday through Sunday, starting at 7 PM, a section of the Reef’s gaming floor opens as a poker room, with as many as a dozen head-to-head ring games of Texas Hold’em taking place at any given time. Buy-ins vary from AUD $50 to $500 with blinds set at AUD $2.50/$5. The casino’s VIP section, called Club Prive, is where high-stakes versions of The Reef’s table games are held. Multi-lingual hosts are available for international travellers, though access to Club Prive is by invitation or appointment only. 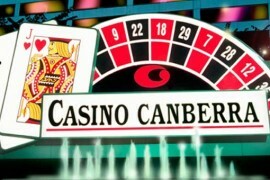 On most games in the club, minimum bets are set at AUD $50, though some of the pokies and other machine games allow slightly smaller minimum bets. A free membership to Club Prive is required for entry; membership in this rewards program makes guests eligible for loyalty rewards and privileges more valuable than the casino’s standard loyalty offers. Club Privé is open Friday & Saturday – 8:30pm – Till Late.